Last year when I sent my oldest baby off to college, I did lots of planning and preparation. Lots. My baby and I thought we had everything covered. Bu-uut, like most of life, there were several things we hadn’t thought of. 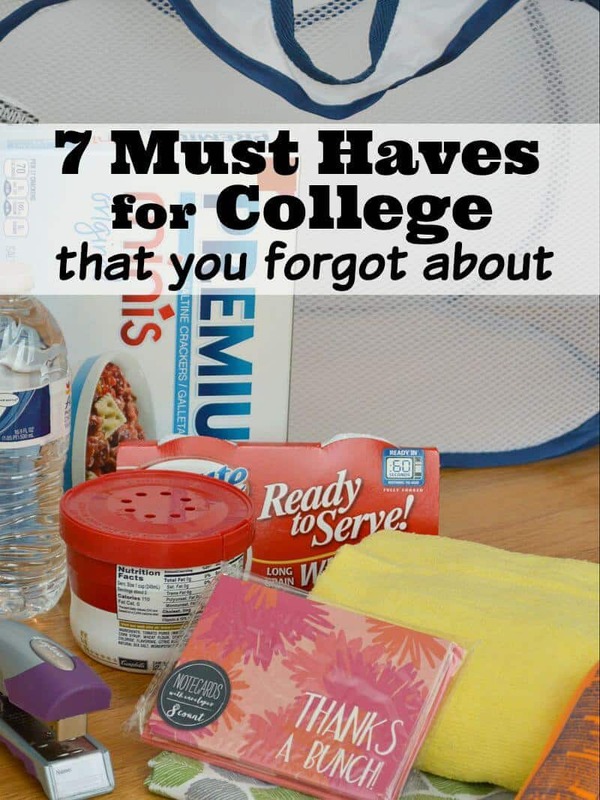 This year when I send my baby back to college it will be with these 7 must haves for college (that you forgot about). I know because I forgot about some of them and friends forgot about the others. I started gathering items for my baby to take to college a year before she left. I got serious about filling her back to college shopping list a couple of months before she left. I talked to friends who had sent their children off to college and asked what was the one thing they forgot to send. I thought I was my daughter was thoroughly prepared to go off to college, but we still discovered items during her first year that we should have gotten for her. 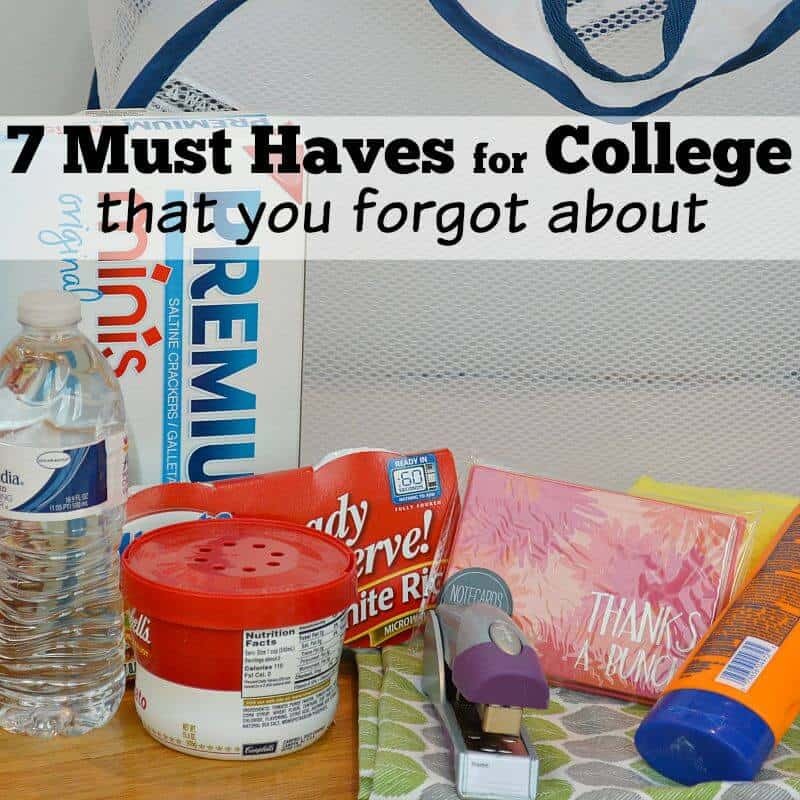 My daughter and I brainstormed what the top items we forgot were and we came up with these seven must haves for college. I sent my baby to college with a DIY laundry bag that coordinated with her bedding. (I’ve also made the DIY laundry bags and given them as graduation gifts). It worked great for collecting dirty clothes in her room and taking laundry to the laundry room, but she found that having a collapsible laundry basket was a huge help for bringing clean clothes back to her room. Some dorm laundry rooms have space to fold your clothes and the collapsible laundry basket makes it easy to bring your folded clothes back to your room. Even if you don’t fold clothes in the laundry room, bringing clean clothes back to your room in the basket keeps them from getting as wrinkled as they do if you shove them back into the laundry bag. A friend of mine asked the college tour guide at the college they visited, “What’s the one thing you forgot to bring to college that you’d wish you’d had?” The tour guide immediately answered, “A stapler.” Thanks to my friend sharing that with me, I sent my baby off to college with a stapler and the office supplies for college students that she needed. My daughter said she was surprised how many times she did need that stapler at college. 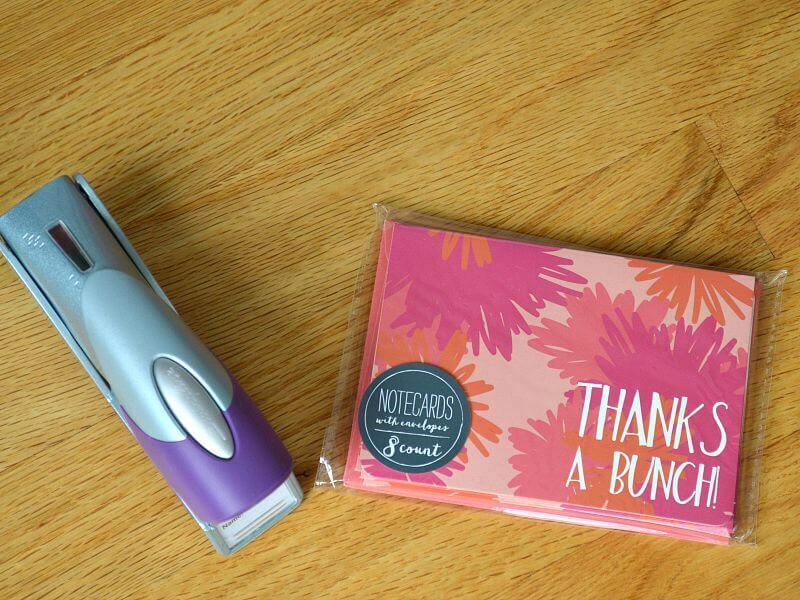 Unfortunately, we didn’t think to include thank you cards in her office supplies kit. About a month into her first year, she asked me to send her some thank you cards in her next college care package. (Can I stop for a moment and share a big smile and happy mama moment that she thought to ask for thank you cards!?) She had received several care packages from family and friends and wanted to send thank you cards. I quickly included thank you cards in the next care package I sent to her. What’s a mama to do when your baby calls you because they’re so ill they can’t get out of bed? Oh, and they’re more than 10 hours away from you. I had planned ahead and sent my “baby” to college with a DIY college first aid kit. I thought I’d thought of everything. But I found out the hard way that I had not thought to include a thermometer. At my “baby’s” college, they have you email your symptoms to a nurse that then determines if you need to come into the clinic and gives you advice on what to do. (If you know me even a bit, you can guess that I wasn’t happy that someone didn’t run to take care of my baby since I couldn’t, but that’s how they handle the student clinic at my baby’s university.) The first thing the nurse asked my baby was what her temperature was. Oops. She didn’t have a thermometer. She was too ill to walk to the store and buy a thermometer and too far for me to get one to her right away. My baby was so ill that she was unable to leave her dorm room for five days. She recovered from the flu (and I’m still working on recovering from the worry), but the first thing she did when could walk to the store was buy a thermometer. And guess what? She had a friend a month or so later that needed to borrow it because my baby was the only one on the floor with a thermometer. Learn from my mistake and be sure to include a thermometer like I did in the DIY first aid kit I made for my youngest daughter when she went off to camp. Again, I thought I had prepared my baby for everything. 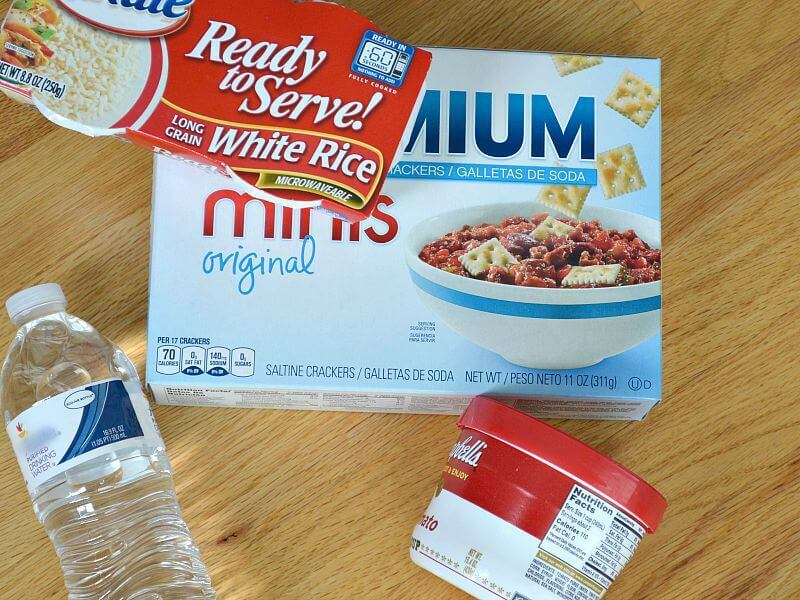 I sent her off to college with a case of bottled water and saltine crackers just in case she was ill and needed “sick food.” Well, the roommates drank the water and my daughter ate the crackers the first three days she was ill. This year I’ll be sending her with a large supply of “sick food”, including microwaveable rice, microwaveable soup, a refillable water bottle and a bunch of boxes of saltine crackers. I hope my baby and yours will bring their supply of “sick food” home in the spring, but this year I’ll make sure my baby is ready for anything, including be sick for several days. 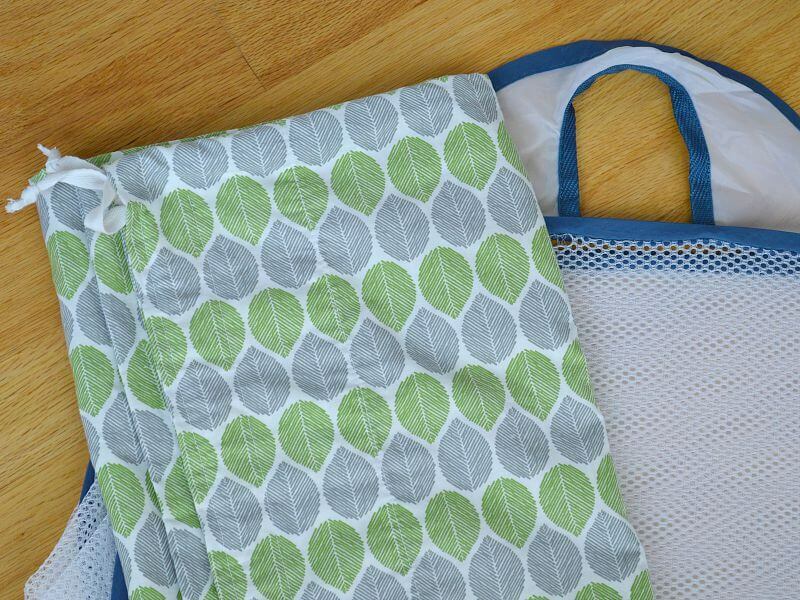 Send one or two beach towels to college with your baby. The beach towels can be used if you your baby goes swimming, works out at the gym or as a back up if the laundry doesn’t get done. The beach towel can also be used so that your baby can sit outside with friends or sit outside to study. My baby used her beach towel many, many times as she and her friends made a point to spend time outside in the fresh air and sun. I want my baby to enjoy time out in the sun and fresh air, but having grown up in Hawai’i, I want to make sure that she protects her skin when she’s out in the sun. 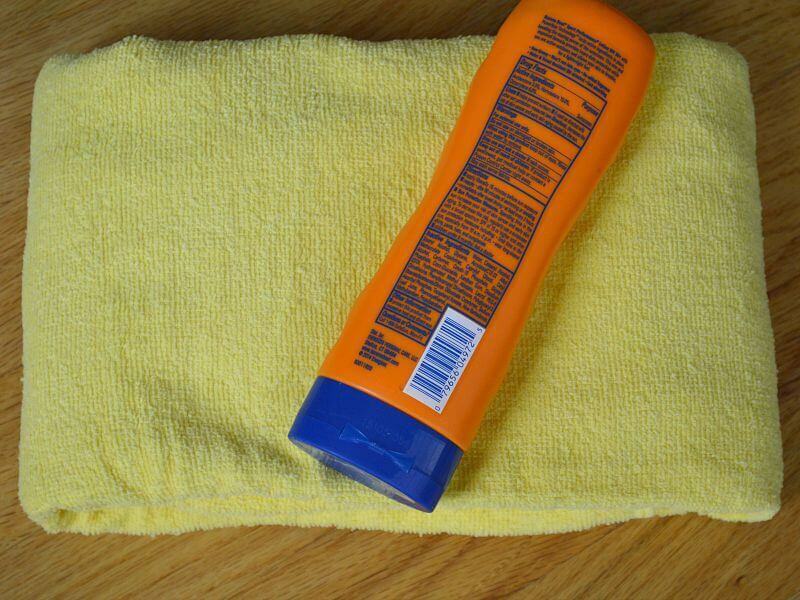 My daughter said, “Sunscreen is the kind of thing you just always have around your house and don’t think about until you need it.” Don’t forget to add sunscreen to your baby’s must-have list for college because they won’t remember it themselves. Did I miss anything on the 7 must haves for college list? What did you forget but wish that you’d had at college? Susan, I love that you sent “sick food” for your baby. That is not something I would have ever thought to do. I was lucky enough that for the first two years my baby was in college I was close enough to go and take care of her. When she studied in South America and got sick, I was frantic. She learned how to take care of herself, so I guess that was a blessing. I know you are ready for this year!